Big Bowl in Schaumburg treated their best customers to a summer rolls making class. When we eat lunch at Big Bowl, we always order these appetizers. 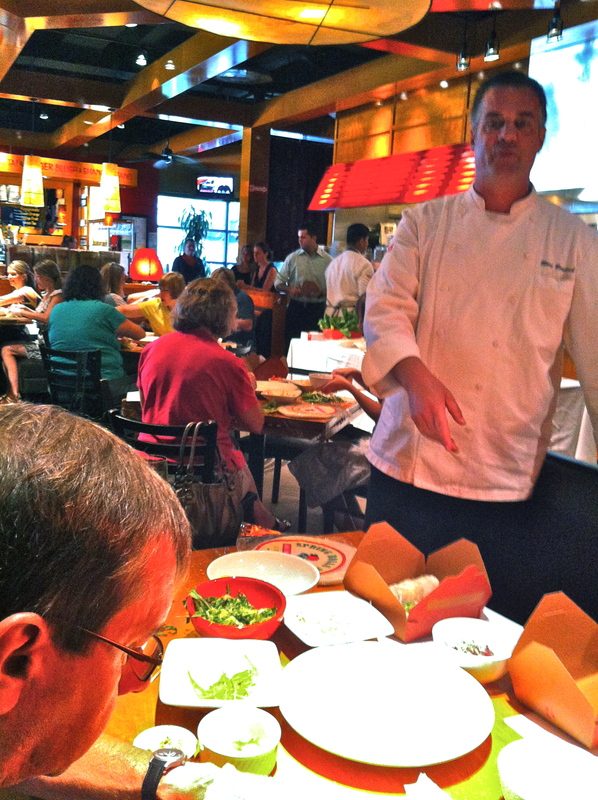 Big Bowl Executive Chef Marc Bernard taught the session, assisted by Schaumburg Big Bowl Executive Chef Eddie Gomez. 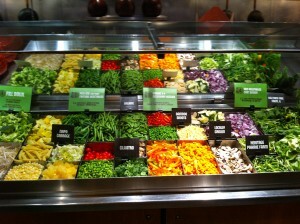 We sat in tables of four with prepared fresh vegetables in front of us. Marc described the seasonal ingredients Big Bowl uses and their mission to serve local, organic and eco-friendly foods when possible. 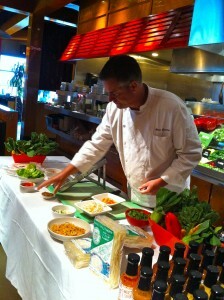 Marc highlighted the vegetable choice for make your own stir fry meals and noted where each of these items came from. Marc described each summer roll ingredient beginning with the package of hard rice paper or spring roll skins. We also had seasoned noodles, pickled vegetables, carrots, bean sprouts, red bell peppers, seasonal lettuce and chopped peanuts at our tables. Marc combined flat rice noodles with sesame seed oil, peanut oil, lime juice and fresh herbs. We saw how salting the vegetables and letting them sit draws out water and condenses flavors. Marc dipped the rice paper skins, a hard plastic like disk which softens up when dipped in water, and stretched the sheet out on the workspace. 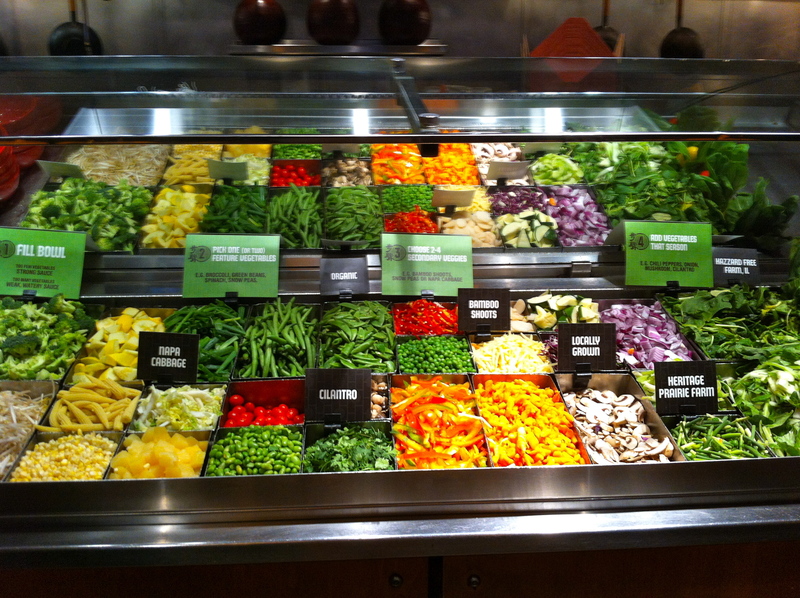 He layered the fresh produce in the center and demonstrated the rolling technique. He pulled the rice skin tightly over the food while compressing the rest of the roll. Then it was our turn to make Big Bowl’s famous summer rolls. 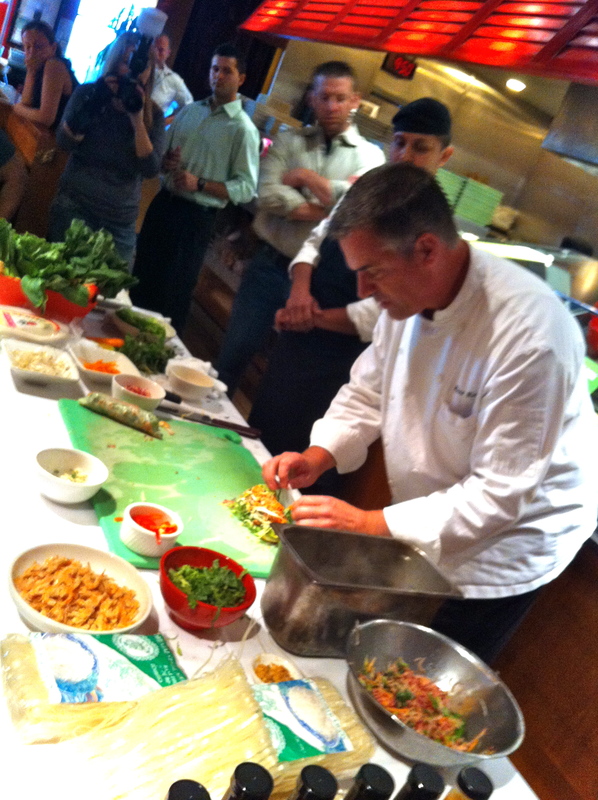 Each of us started with a rice paper skin and filled the sheet with noodles and veggies of our choice. We rolled the rice paper over the colorful mix with varying degrees of success. At the end our class, Big Bowl treated us to their tasty summer rolls prepared by Big Bowl’s chefs and served with a variety of tasty homemade sauces. Big Bowl Schaumburg is part of Lettuce Entertain You Enterprises with 31 restaurant concepts.